How do you shape your world? 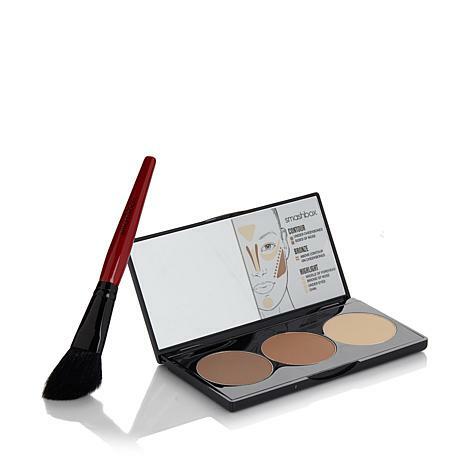 This contour kit may not solve all your earthly woes, but its universal palette of colors can help you create the appearance of depth and dimension. And the step-by-step guide helps you customize a look based on your facial shape. See your world in a new light. I am so amazed about with this product, I actually wrote a blog review on it. 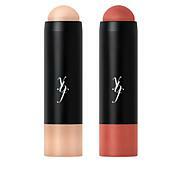 One of the best things about this item is, if you are new to contouring.. this is a MUST have. EVERYTHING you need for the prefect contour in at the tips of your fingers. The brush, the colors, the compact.. everything! One of the best things besides the brush is the fact, they have step by step instructions inside the compact on the mirror. This product is a win-win all the way around. 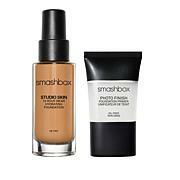 Now, I include contouring to my everyday makeup routine.. thanks Smashbox for creating this jewel!!! Absolutely beautiful !!! great color pay off ! Worked with both shades on self on friends ! Great buy, must try ! I found this easy to use, I am new to contouring, but love this simple kit. My 19 year old daughter even loves this kit! This is my first try at contouring my face and I'm so excited...it looks soooo good...its perfect not to dark and over powering..the brush not so good. 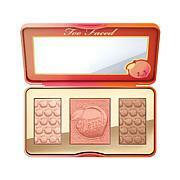 Love this....it makes your face look very clear and makeup is natural looking. Stays all day!